Everything is easy when you know how! We know how or we can teach you how. We connect you with cloud based systems and put big business digital strategy tools in the hands of small businesses like yours. Today's innovative digital tool is tomorrow's forgotten software (think Bulletin Board Services BBS, if you're a nerd like me). We remove the fear and help you strategically plan for redundancy and change. We don't fear the unknown, we learn about it. We don't just sell you what we know, we use what we know to find out what you need. We research the innovative and the new so that you can stay relevant and implement innovative technology that helps make your job and/or life easier. One of those tools is Squarespace. We built our site with it and have built many others since 2014. In May 2018 we were invited to join the Authorised Squarespace Trainers program. Now, we not only create great digital strategies FOR people, we also TEACH YOU HOW to take control of that yourself (so you are no longer at the mercy of web designers or complicated tech and 'code'). We put small businesses or organisations on the map with big business and we teach people to understand their online footprint so that they are in a position to do the work themselves using simple tools or to delegate with accountability and not abdicate on a prayer. Using Content Management Systems (CMS) and Customer Relationship Management (CRM) tools delivers a complete web solution and digital strategy without you learning code or beginning a steep tech learning curve. We assist you to extend your digital marketing impact by creating and managing your digital footprint. I love what I do & I do what I love: helping to inspire and unite teams with motivational keynote speaking or one-to-one training with personal business experiences and easy to understand digital integration and innovation. We support and sell G Suite, a brand of cloud computing, productivity and collaboration tools, software and products developed by Google. As a Google Partner, we can help you make sense of cloud computing and help increase your productivity. G Suite is an intelligent, cloud-based productivity suite that enables teams to collaborate, iterate, and innovate together, from anywhere, in real time. 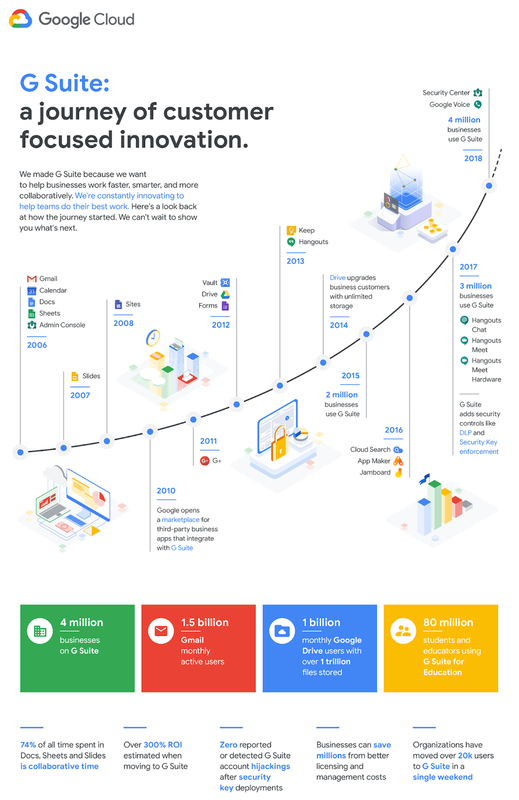 Information and applications live in a connected cloud and are layered with Google’s machine intelligence to offer insights that move businesses beyond productivity. Watch this short video that shows how teams use G Suite to collaborate and work together to meet a quick deadline. 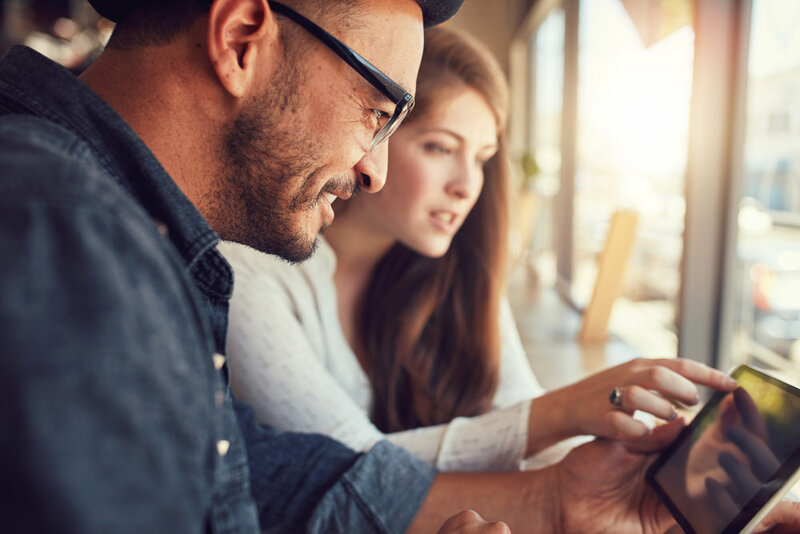 Small business and community focused: facilitating your connection with leading technology, software and processes so you can compete on an even keel with larger enterprises. What can we actually do to help you? Leading and innovative digital tools implemented without the growing pains and steep learning curve ... we research and compare products and services based on your business needs, budget and capability. G Suite setup that includes Gmail, Docs, Drive, and Calendar for business. SAVE money by Registering your own Domain Name. This gives you access and ownership of your own domain through an account setup for your business/organisation. 74% of all time spent in Docs, Sheets and Slides is collaborative time. What do you get with G Suite?